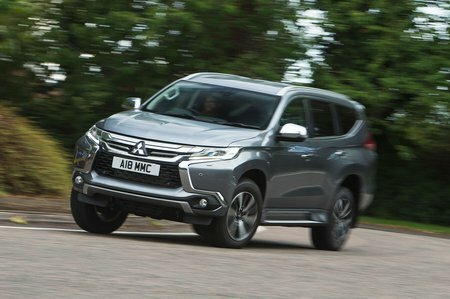 Mitsubishi Shogun Sport 2.4 DI-DC 4 5dr Auto 4WD 2019 Review | What Car? What Car? will save you at least £4,659, but our approved dealers could save you even more. Coarse and noisy under any acceleration, but it’s quieter at a cruise. This engine doesn’t feel quick, but it will get up to motorway speeds without too much fuss and even manage some overtakes when you’re there. It’s not economical, though, so running costs will be high, but there’s no other choice in the engine line-up.